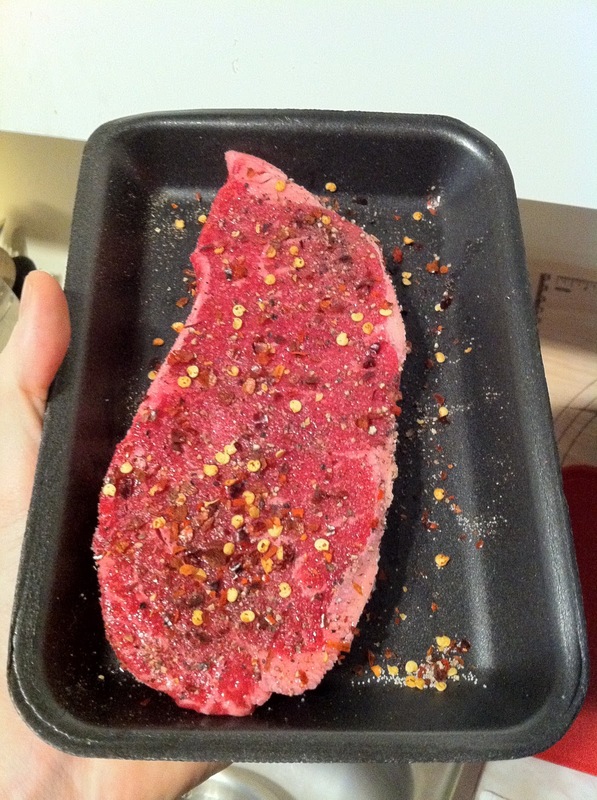 I'm calling this one the Red Headed Steak because it's basically just a steak and I wanted to spice it up. While I myself am a red head, this steak literally is, too, as it's seasoned licentiously with red pepper flakes. 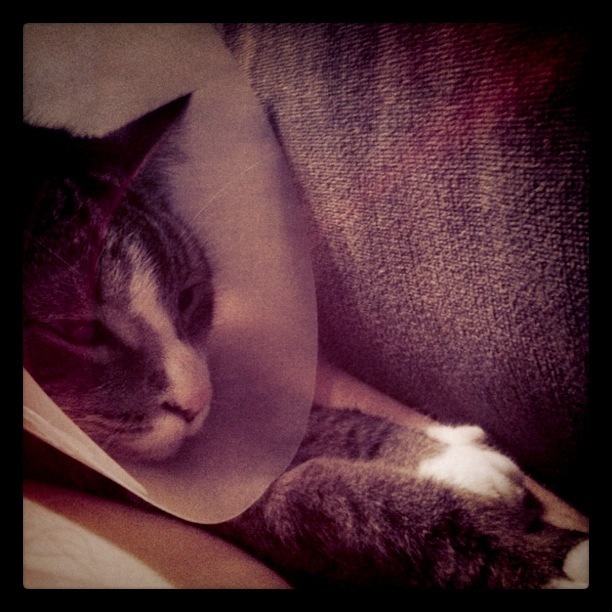 This one was a quickie as I was still cat sitting Tricky the Cone Head. This dish started out with a 400 degree preheated oven and some mixed veggies tossed in salt, fresh ground black pepper, and olive oil. 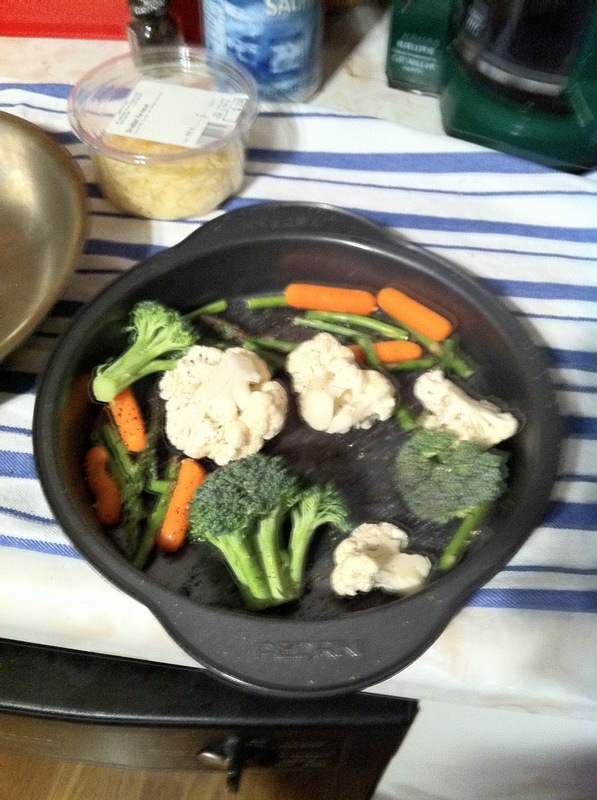 Here I had young, fresh asparagus, broccoli, and cauliflower (with some carrot tops). 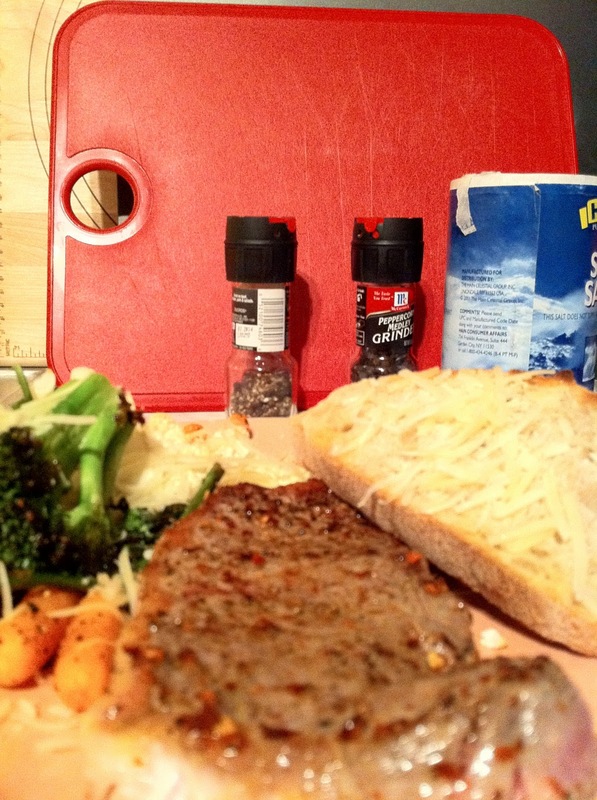 Roast in the oven for 35 minutes. While the veggies are a-roastin', give ye olde steak a nice seasoning with salt and fresh ground pepper as well. Then apply a volcano god's portion of crushed red pepper flakes. I mean, you want to rival Mount Aetna on this puppy. Well, I do anyway. When the veggies are about 25 minutes through cooking, pre-heat a large skillet over medium high heat. 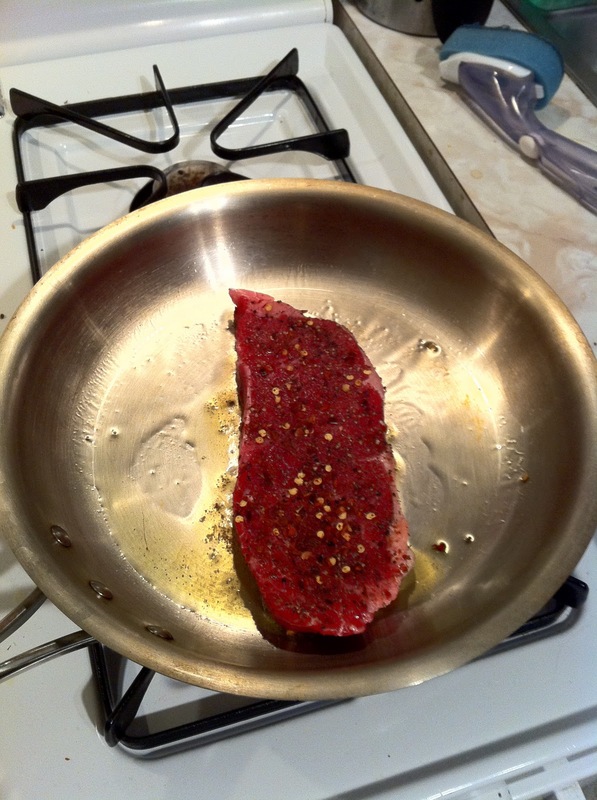 Add the oil and, when shimmering, lay that bad-boy steak on. I give it about two minutes per side. 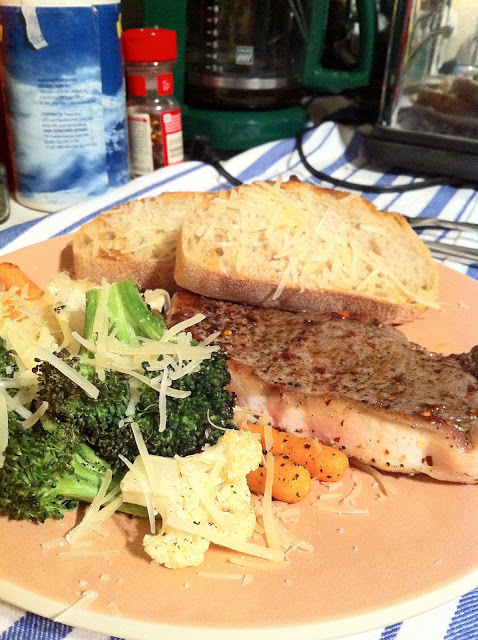 Alongside this I toasted up a couple of thick, delicious slices of sourdough bread. Those I topped with some shredded parmesan and, while I was at it, decided to put some shredded parmesan on top of the veggies, too. And no, I don't tend to trim the fat from the side. I like the flavour it adds and cut around it. If the recipe really called for trimming the fat, I would, and in cases where I have guests who I know prefer not to have fat on their chops, well, I'm an abiding host. Your soundtrack for this entry: Normandie - Bomber. Also, I've redone and begun using my old web site Axes & Alleys. I don't promise that it will be frequently updated yet, but that's the aim.